It’s been a very busy few days, as this week marked both Mental Health Awareness Week and the Southbank Centre’s (B)old Festival. This year, Mental Health Awareness Week has focussed upon the theme of stress and specifically how we can prevent and reduce it. The Mental Health Foundation has produced a handy guide to this effect which is well worth a read, especially as they are using today to draw attention to stress in later life. 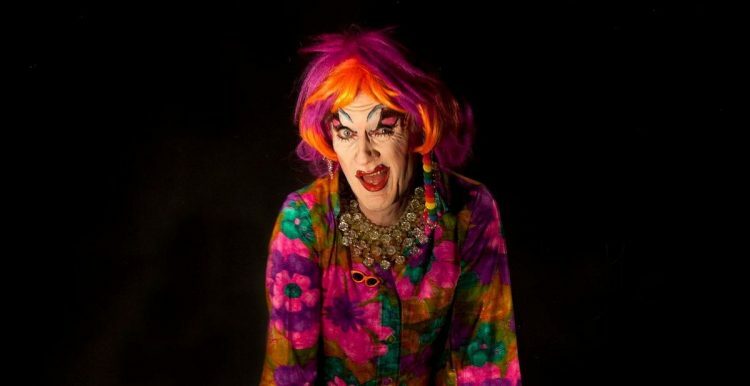 Meanwhile, (B)old Festival aims to celebrate the work of artists over the age of 65 whilst questioning how they have continued to flourish in an industry that often shines the spotlight on the young. From song and dance to arts and crafts, there have been a whole host of different events throughout the week, showcasing the skills and vitality of older artists. Plus, if you’re reading this on Friday 18th May, there’s still time to head along to a Royal Wedding 21st Century Tea Dance hosted by our friends Entelechy Arts this Saturday! Now on the surface it may appear that Mental Health Awareness Week and the (B)old Festival have nothing in common. However, it’s actually very fitting that these two events should occur in the same week, as more and more research is pointing towards the positive impacts that the arts can have upon older people’s wellbeing. 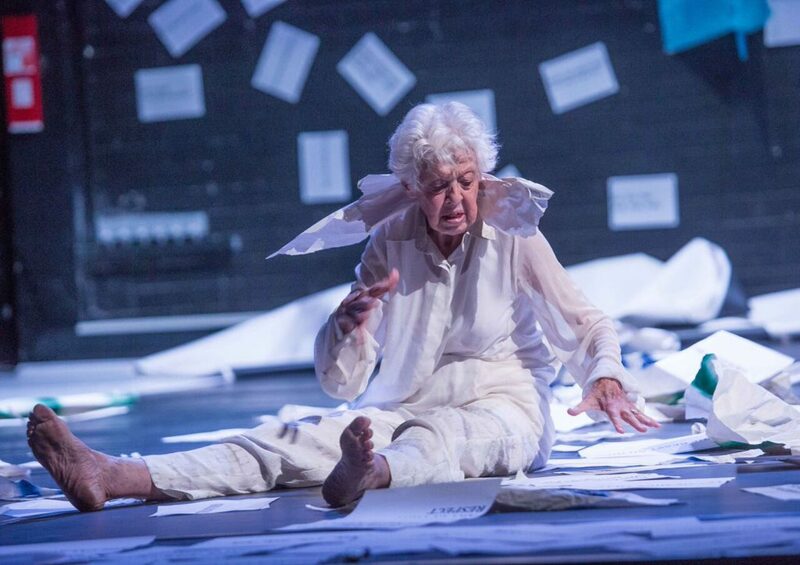 New York dance legend Valda Setterfield takes the stage in this bold Shakespearean adaptation of King Lear at (B)old Festival. Age UK’s recent Wellbeing Index went so far as to say that social and civic participation and creative and cultural participation are hugely important, together making up almost 1/8th of total wellbeing in later life. Furthermore, research by the Arts Council England in 2016 found that 76% of older people said arts and culture was important in making them feel happy, while over half of those surveyed said that arts and culture helped them to meet other people as well as encouraging them to get out and about. Meanwhile, the Mental Health Foundation discovered increased confidence and self-esteem amongst participants that were engaged in forms of participatory art. Whether actively performing or soaking up the culture from the audience, it is clear that involvement in the arts can have massively positive effects on the lives of older people. Alongside the positive findings of the Arts Council England, there were some more worrying statistics. Notably, almost two in five (38%) older people say that it is more difficult to attend or take part in arts and cultural events or activities now compared to when they were younger. Meanwhile half of those surveyed said that they attend or participate in arts and culture less now than in their teenage years and 49% said they attended less than in their 20s and 30s. So, what are some of the barriers to older people’s participation in the arts? Arts Council England found that a lack of company, accessibility, and information were the main restrictions for older arts enthusiasts, all of which can also have a large impact on other aspects of older people’s daily lives. It is also likely that economic concerns are a key factor too, both in terms of travel and ticket prices. Therefore, if it is clear that the arts can be hugely beneficial to the mental health and wellbeing of the older population then it is also plain that more must be done to ensure that arts and culture are accessible to all. Events like the (B)old Festival are a brilliant opportunity to showcase older artists and allow older audiences to take in arts and culture. Let’s hope for more of the same in the very near future! An Age Friendly Strategy for Culture in London?